Below is the design brief that I wrote for the master’s level course in which I am a Teaching Assistant. The course is Interaction Design as a Reflective Practice. 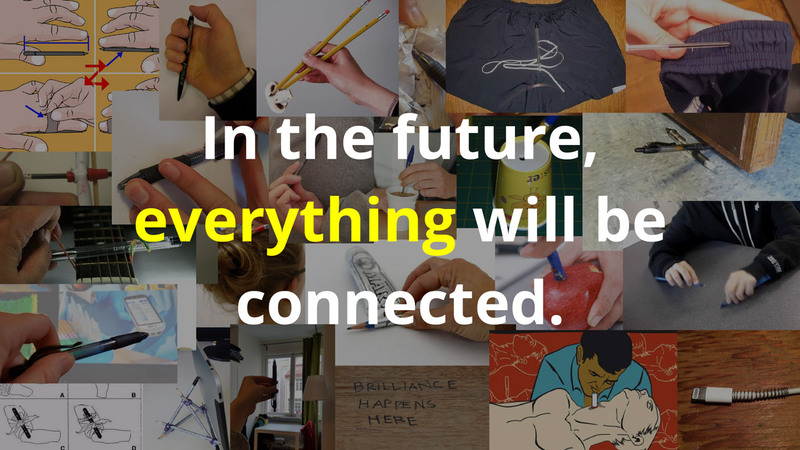 Technological forecasts often predict that someday in the future everything will be connected. What is everything? And why is connected so often synonymous with tangible interactions being transferred to mobile applications or voice-based assistants? Additionally, these solutions primarily focus on efficiency and automation, signaling a shift from engagement to a frictionless relationship with technology. Is this shift necessary, or do our physical things have overlooked abilities, hidden meanings or magical uses? The project Manuals of Misuse investigates these questions by examining our everyday interactions with faceless objects and reimagining how they might be misused to playfully control or meaningfully communicate with other things, people or places. What is the essential use of the object and the ideal scenarios of interactions? What information is needed to communicate to a novice user, product partner, or manufacturer? What are the object’s properties and/or affordances that result in these misuses? What modifications, interactions and technologies are required to make this possible? What is needed to communicate the essence of your concept and prompt further investigation? Reflection: Upon our mundane, micro interactions with everyday objects. How to we use things and why do we use, or misuse, them? What can we learn from misuse and how does it inform how open or closed we design for appropriation? Communication: Of design intent, technical specifications and user experience to diverse audiences through various mediums. Playfulness: For engaged action and meaningful interaction. Documentation: For reflection and communication. This entry was posted in AI / Machine Learning, Implicit Interaction, Interaction Design, Internet of Things, KTH, Stockholm, Teaching on March 20, 2017 by admin.